Therea��s no arguing with Crystal Zachariaha��s verdict that chicken wings are one of the best sides for beer. For a month now, her chicken wings (Buffalo wings) made at home in Navalur, OMR, under the moniker Chennai Wing House, have been finding many takers. 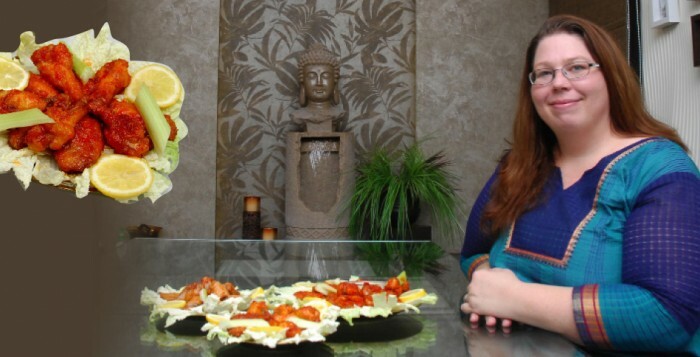 Having moved from Florida to India with her husband in 2004, Zachariah, who was previously working in the education field, decided to look into food when they found a dearth of their favourite American snack in the city. a�?We thought of this about six years ago and wanted to open a restaurant dedicated only to wings,a�? she says. And while they are still working on said restaurant, she and her business partner/brother in law Dipak Zachariah, have already made their product available on take away and delivery. Zachariah spent two years experimenting on various sauces. The result? Four varieties of wings that will leave you craving. a�?We recently got a complaint from a husband, because his pregnant wife ordered 50 wings from us and ate them all herself,a�? she jests. For those who like it hot, therea��s Hot Mama (their fieriest offering) and Hot Mama Mild (similar to the original American Buffalo wings). Their best seller though is the sweet and spicy Lethal,while their fourth offering, Dilly Sweet, is named after Zachariaha��s son Dillan and made with raw honey sourced from Kerala. Therea��s also a home made ranch dressing to boot. Available in packs of 20, 30 and 50 or bulk orders. On request, Chennai Wing House are open to catering live at your party. Place your orders on their Facebook page or over phone (regulars and referrals stand to earn a�?wing pointsa��). From `360 onwards for 20 wings.